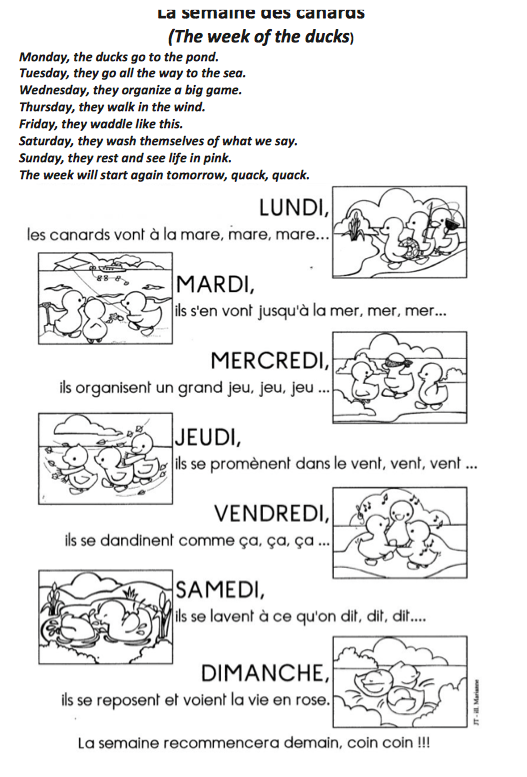 What a great way to learn “les jours de la semaine” (the days of the week). 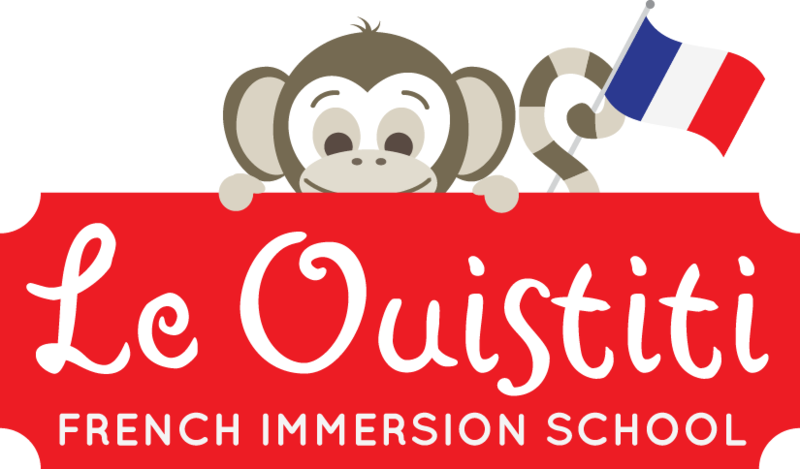 I downloaded the song sheet and flash cards from La maternelle de Moustache, one of the best online ressources for French Maternelle teachers. Find attached the song and translated song sheet and flashcards from Maternelle de Moustache for classroom display. Do not feel intimidated by the lyrics. The children are riveted by the pictures and be sure to create actions as you sing. The children have loved this from the first day and more than a month in we still sing it everyday and now have a student lead the song each day. It is a good tool for the second period, don’t rush into it at the beginning of the school year.